Do you ever get the feeling you’re not doing enough? But specifically not doing enough of the things you enjoy? Those thoughts that creep into your mind saying…”what am I doing here? Why am I here, doing this thing right now that I absolutely take no enjoyment from. Life is short…I really just want to pack it all up and travel the world. I want to see things. I want to experience life.” Ever felt that way? Sure you have…but most of us don’t act on it. It’s not practical. It’s too hard. Possibly, possibly it is. But not for some. Meet the Raisé family…a French-Dutch family of 4 that have decided it’s not too hard. And life is too short. 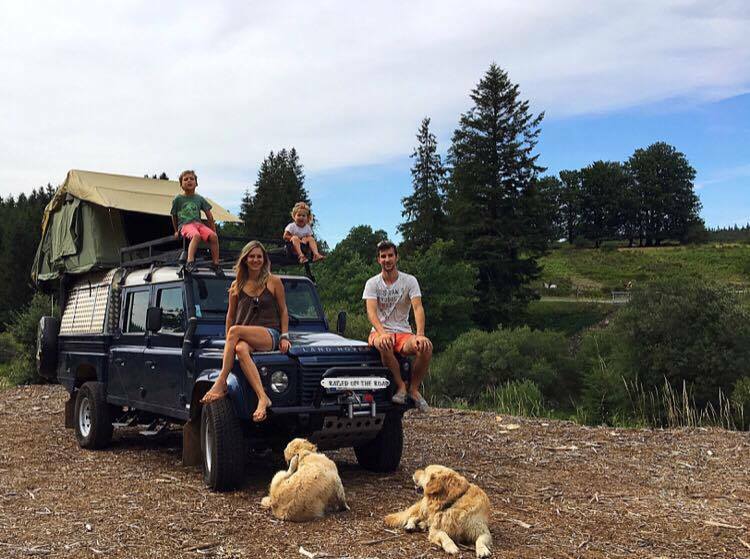 They have sold everything they own…they traded bedrooms for a tent, their home for a 2007 Defender 130 TD4, and touring the World to experience life. To live and drive fun daily. We recently were able to catch up with Clément and Jill, who have two small kids Martin (5) and Rose (3) and two dogs Iris and Iago. They sold everything they own, their optical shop, their house, their car. Traded it all for a Land Rover Defender double-cab 130 that they converted into an expedition overlander for their journey. It is to be for the next two years their car, their home, their kids’ school. When we spoke to them, they were just preparing the Defender for shipping from Europe to Buenos Aires. 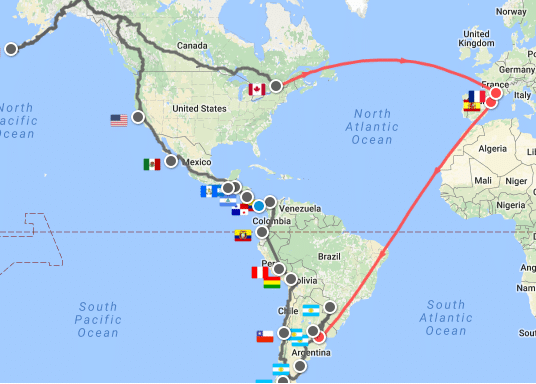 When they arrive next month, they travel from South America, through Panama and Central America, eventually making it all the way to the northern most tips of Alaska. From there, they plan to travel east eventually to Montreal and back to France two years later. We’re really hoping they decide to detour and come south at some point…we’ll show them why they call it the Smokies, what a Low Country boil is, introduce them to sweat tea, Tennessee whiskey and southern charm. 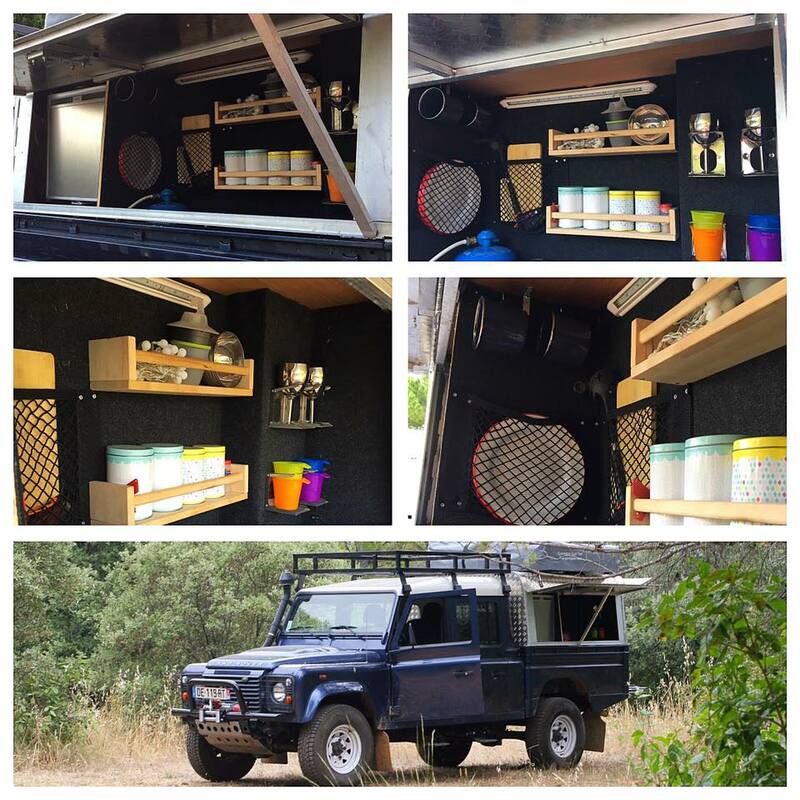 Now granted, everyone can’t be awesomely European, speak 5 languages and uproot their families for months on end in fully outfitted Defenders…but everyone can enjoy a piece of the expedition…a piece of the ethos. Everyone can be inspired to live fun daily…to enjoy the lifestyle that you have in your head. 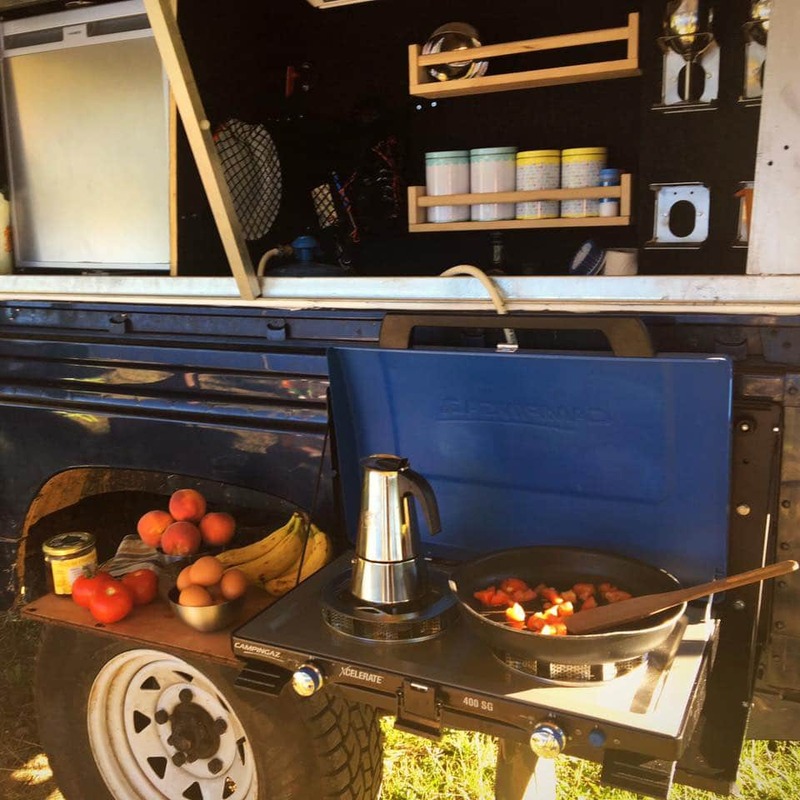 It doesn’t have to be two years and a Defender…maybe it’s a weekend at the Overland Expo in a $7000 Range Rover, or a week camping at the Acadia National Park and trail riding in a $13000 Jeep CJ. It’s not just the car…it’s the life that you create with it. Stay tuned and follow along as we chronical parts of their journey as they check in with us. You can visit their “Raised on the Road” website here and see more videos and photos. 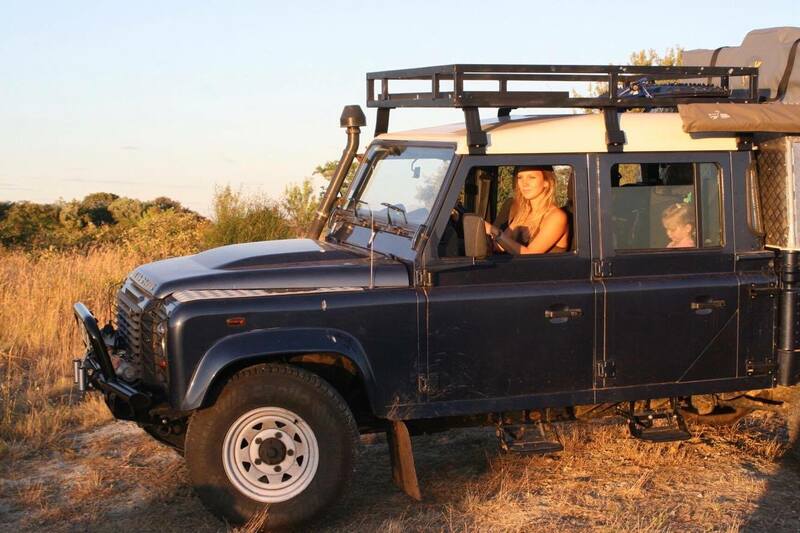 We’re inspired Clément and Jill and wish you all safe travels! 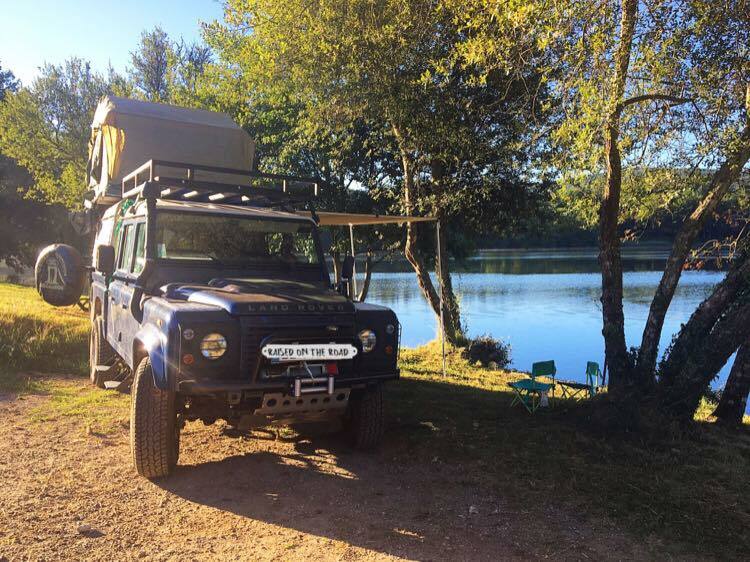 This entry was posted in News/Events and tagged 110, 130, Defender, expedition, france, overland, raised on the road, second daily, travel.